Regardless of where you stand on the ethics of GM food, one thing is undeniable – a recent decision by the European Court of Justice has made the job of developing improved crops more difficult. Last year’s European Court of Justice ruling makes gene editing, the process of modifying DNA in the genome of a living organism, a form of genetic engineering.1 This means any food developed using this technique has to be labelled genetically modified – GM. This will, of course, mean it’ll be subject to the laws surrounding the commercial production of GMO crops. With the controversy surrounding GM produce still in full swing and the various regulatory loops to be jumped through no small matter, it means options available to European food scientists are severely limited in the face of a global population boom, estimated to reach 9.7 billion by 20502. Industry may have to get back to basics to find feasible and legal ways of ramping up crop production. About 10 years ago, Lee Hickey, Senior Research Fellow at the Queensland Alliance for Agriculture and Food Innovation, started looking into speed breeding to fast-track the discovery and cross breeding of positive traits, such as drought resistance, in crops. For the last three years, Hickey has been collaborating in the UK with the John Innes Centre in Norfolk to fine tune speed breeding. Hickey and Brande Wulff, Project Leader at the centre’s Department of Crop Genetics, are among the co-authors of a research paper, which allows scientists to adopt the methodology globally. Hickey was originally inspired by little-known NASA experiments in the 1980s. The agency was sending astronauts into space for longer periods of time and wanted to explore the potential of growing crops in space to reduce the reliance on food from Earth. 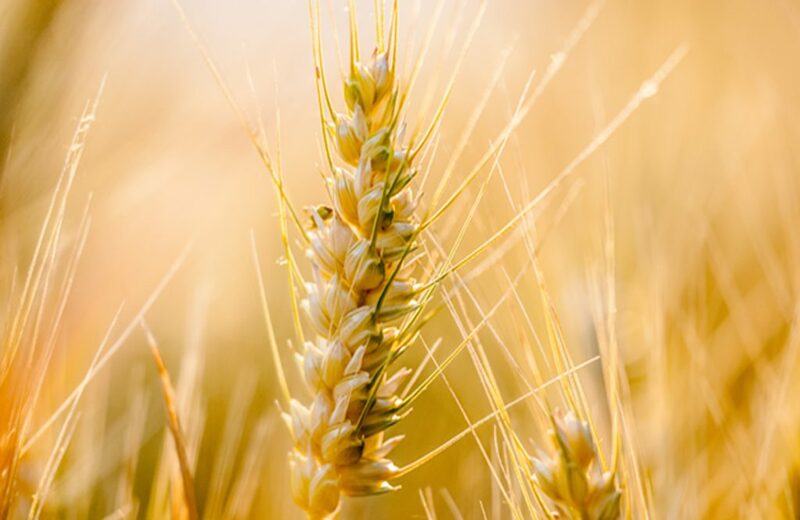 The result of NASA’s experiments was a fast-growing “space wheat”, called Apogee, that was particularly suited to the high levels of carbon dioxide found in an enclosed space station. Apogee differs from normal wheat varieties in that it reaches shorter heights and produces narrower leaves. Dr Hickey started exploring the potential of using speed breeding back on solid ground to produce much larger wheat. “In terms of improving our crops here on Earth it just takes so long to transfer desirable traits like drought tolerance or disease resistance,” Hickey says. “And a breeding cycle can take up to 20 years. The science of speed breeding is simple. Under advanced LED lighting and within enclosed growth chambers – such as a glasshouse or even a small desktop cabinet – a certain crop is essentially tricked into setting seed sooner than when under extended photoperiods in a 24-hour diurnal cycle. Hickey and Wulff have outlined core conditions, including temperature and humidity, under 22 hours of light and two hours of darkness. They say the short dark period slightly improves plant health compared to 24-hour light, while the gradually increasing and decreasing of light to mimic dawn and dusk is also beneficial. While 10-16 hours of standard daylight achieves 2-3 generations of wheat per year, speed breeding at the John Innes Centre enables 4-6 generations. And compared to the dwarf wheat Apogee, the resulting crops are big bushy five-and-a-half-week-old wheat plants. The upshot of this is accelerated plant development for research purposes, such as phenotyping of adult plant traits, and the development of crop varieties that are immune to evolving diseases. It also heralds the potential for large-scale crop programs and implications for the speed at which disease and climate resistant crops can be delivered to farmers. And it’s not just wheat. Speed breeding can achieve up to six generations of crops per year for barley, chickpea, and pea, and four generations for canola. Speed breeding has also had results for rapeseed, potatoes, and even the trendy superfood quinoa. To democratise the technology for scientists around the world who don’t have miles of greenhouse space, Hickey and Wulff’s speed breeding protocols use fairly cheap and generally available equipment. Their research paper includes instructions to build a scaled-down benchtop cabinet, giving researchers the option to optimise conditions for their favourite crop or trait before scaling up to more expensive growth cabinets or glasshouses. But hasn’t shining intensive light on plant crops been done for decades, if not since the invention of the electric lightbulb? According to Wulff, there’s been a technological revolution in LED lighting that means it’s cheaper and more readily available. The John Innes Centre is now fitting out its greenhouses with modern LED lighting, which less than five years ago were too expensive to use on a large scale in a glasshouse. This is replacing the previously-used sodium vapour lamps that produce a lot of yellow and green light, not used in photosynthesis. Another part of the fine-tuning process was the introduction of early harvesting and dehydration, followed by cold stratification, the process of simulating the natural conditions of germination in the spring. “For wheat you can actually harvest the seeds just 14 days after they flower and normally it is possible, to rescue these embryos in the lab and reculture the plant in petri plates, but it’s very laborious and you can only handle small numbers. And this was a real bottleneck,” Hickey says. Harvesting immature spikes and drying them in an oven for around three days, compared to the normal seed ripening process of about 15 days, cuts seed-to-seed cycling by an extra couple of weeks. “They go through a process of accelerated dry after ripening and then you take them out of the oven and they look very shrivelled and you think ‘oh my goodness these are never going to germinate’ but in actual fact you get around 90 percent germination efficiency,” Wulff says. The potential integration of speed breeding with other technologies, such as genomic selection using AI, looks promising. Wulff has been working to rapidly identify genes associated with disease resistance to create crops that require less pesticide. “The way that crops are protected against pests and diseases in most western developed agriculture is by spraying chemicals onto them,” he says. “And a lot of these chemicals are not that effective any longer because the pathogens have evolved resistance against them or they are about to be banned or have very severe restrictions placed on them by the European Union. There will be 9.7 billion mouths to feed globally by 2050, according to the UN. With the European Court of Justice ruling that genome editing should be regulated the same way as GM, plant scientists are left with very few options and a socio-political stalemate on the use of GM in many countries around the world that has cast a shadow over genome editing in Europe. “It’s a tragedy that historically GM has somehow been separated from the green movement. We would like to see these coexist, hand in hand, but unfortunately that’s not the case. In Hickey’s native Australia, gene edited crops are widely used in agriculture, including the cotton industry. He says almost all cotton grown in the country is transgenic, and without this capability, the country otherwise wouldn’t have a cotton industry. Last year, the country’s gene technology regulator proposed reducing regulations around gene editing following a review. But there is still a lack of certainty and transparency as to whether crops developed using technology like CRISPR or genome editing will be classed as GM in Australia as they are now in Europe. “We’re all really very anxious and we’re waiting to hear the outcome and we’re just hoping that it won’t be classified under the GM umbrella because we see this as such an important tool to help the productivity or famers and going more clean green when it comes to producing our food,” Hickey says.